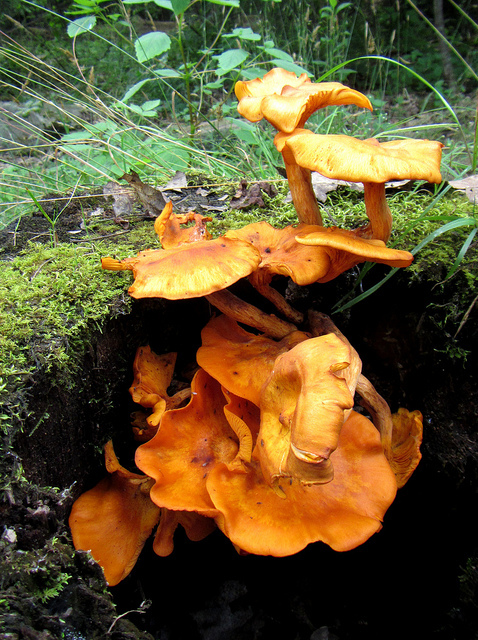 Jack O' Lantern Mushroom Omphalotus illudens (Schweinitz) Bresinsky & Besl. 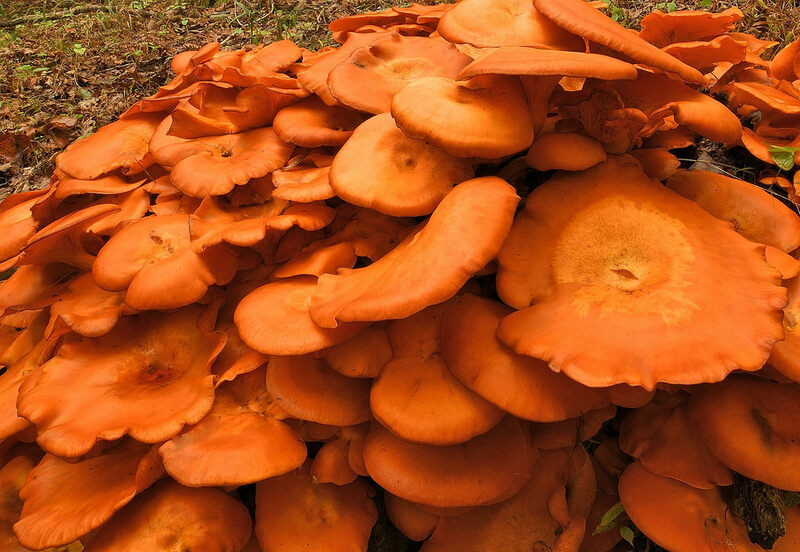 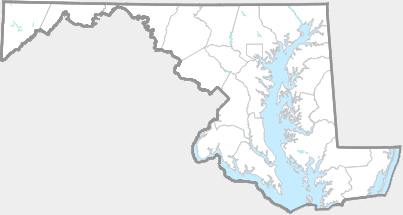 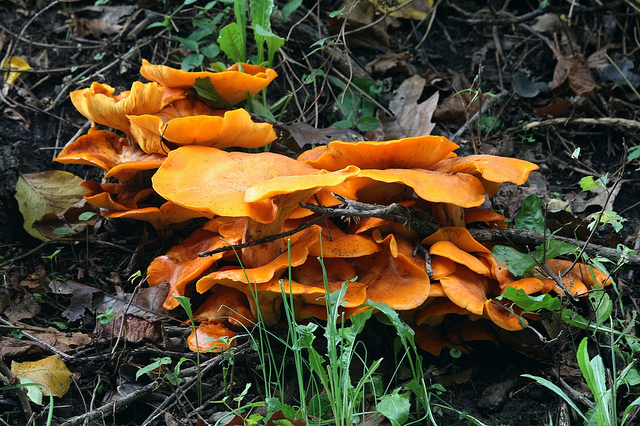 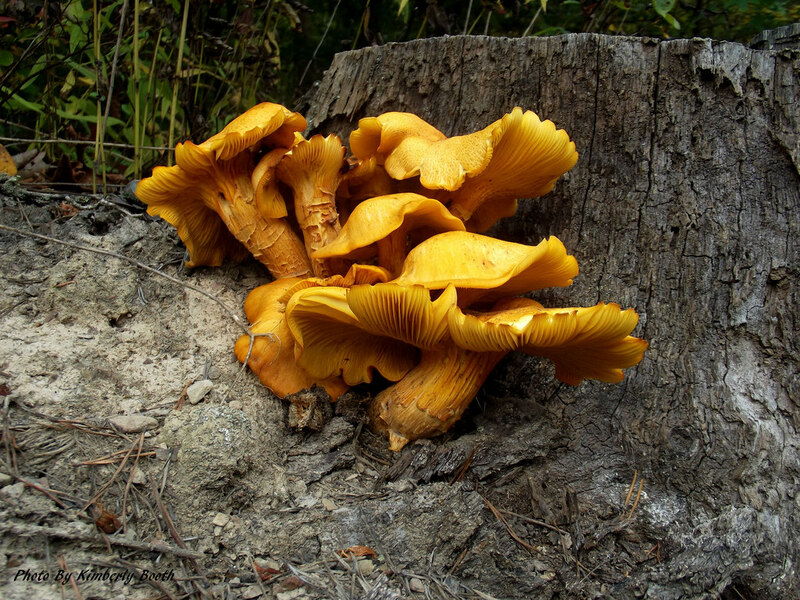 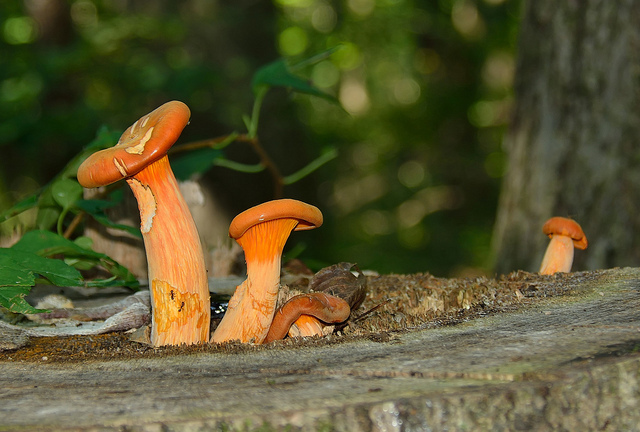 Synonyms: Omphalotus olearius. 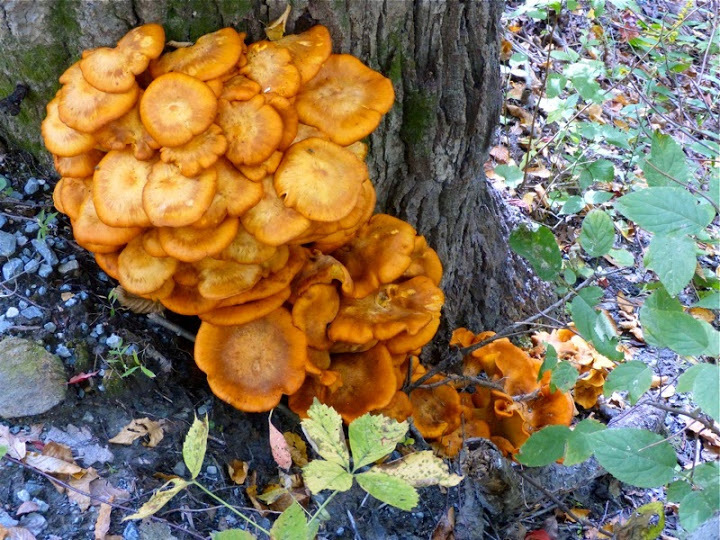 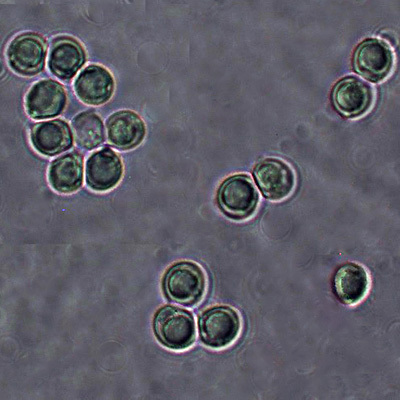 Found in clusters at bases of deciduous stumps and tree trunks (usually oak); may be on ground on buried wood.